We're changing our meeting venue and day! September will be our last meeting at Ultratec. As of October 23, we will be meeting on the 4th TUESDAY of the month in a community room at the First Congregational Church at 1609 University Avenue Madison, WI 53726 (corner of Breese Terrace and University). Presented by Karen J. Cruickshanks, Ph.D. This will also be the annual meeting and voting of officers. Many older adults experience changes in hearing as they age that may make communicating with loved ones difficult and negatively impact their quality of life. Research conducted at the UW in partnership with the people of Beaver Dam, WI has contributed to identifying ways to slow or prevent aging hearing changes and to understanding the impact of hearing loss on the lives of older adults. Results from these studies will be used to highlight what we know, from a population-perspective, about preventing and treating age-related hearing impairment and to discuss the connection between hearing and cognitive changes in aging. 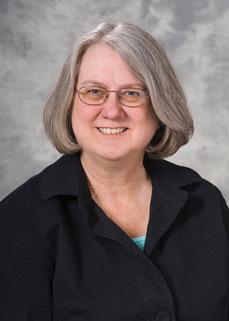 Karen J. Cruickshanks holds a Ph.D. in epidemiology and is a professor of ophthalmology, visual sciences and population health sciences at the UW-Madison School of Medicine and Public Health. Her research interests are focused on the epidemiology of aging, funded by the National Institute on Aging, and the major themes of her research are sensory and neurological disorders of aging. She is also the director of the EpiSense Audiometry Reading Center, which supports other studies of hearing impairment. Dr. Cruickshanks has served on a number of National Academies of Sciences, Engineering, and Medicine committees relating to hearing loss, the Committee on Accessible and Affordable Hearing Health Care for Adults, and the National Deafness and Communications Disorders Advisory Council for the NIH. At Ultratec: If you are having trouble finding the building, entrance or meeting, please text either John at 608-695-3170 or Natalie at 859-866-0491.